Jose Gamboa helps business owners bring new products to market through the process of market assessment, concept development and design and prototyping—including production supervision. He began his career as an industrial designer with Husqvarna. In 2006 in Italy, he collaborated with the supercar brand Pagani Automobili and Modena Design in the development of new products. He worked in the infant mass market industry in Kids II. Gamboa then headed design at Slingshot Product Development Group. In 2016, he started Hatch Idea Development and co-founded Sketching Lab. 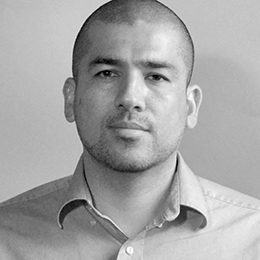 Gamboa earned an MID from Savannah College of Art and Design (SCAD) and taught as fulltime faculty at SCAD, where he was involved in partnerships with innovation-based organizations such as Carbon Motors and the Small Grant Donations Program of the United Nations. Sketch Aerobics™—designed by Jose Gamboa, IDSA—is a fast, fun and dynamic approach to practice sketching! Overcome the barriers of communication by using music and the basic elements of sketching to visually communicate your thoughts. Sketch Aerobics ™ fosters teamwork; learn by doing and work hard! The fun aspect of Sketch Aerobics ™ eliminates the frustration that commonly used techniques provoke in young designers when learning how to draw. Begin with the very basic elements of drawing (lines and circles) and build to the more complex visual techniques. This workshop emphasizes the development of rapid visualization and the most effective ways to visually communicate your ideas as a flux for innovation.